THE REEL COWBOYS, A TRUE AMERICAN ENTITY! In 1996, seven friends teamed together and founded the non-profit Western Film and TV appreciation organization, The Reel Cowboys. Originally comprised of entertainment industry types; actors, directors, producers, stunt men/women and other "behind the camera" people. The goal was to keep alive the wholesome good values and morals most often portrayed in the American Western drama. Goodness triumphing over evil and the Code of the West were in abundance in the golden years of television Westerns and throughout the history of classic Western films. Stories of the damsel in distress, or the poor dirt farmer struggling to survive in a hostile land. Often, they were threatened by displaced Native Americans with no alternative but to fight back, or greedy land grabbers, or dishonest bankers, waiting for the opportunity to step on the "little people" in their unquenchable thirst for power. And of course, the ever present outlaws, bad men and women with no compunction but to take what wasn't theirs, with violence if necessary, who roamed this 'savage land' without restraint, meting out their own brand of cruel justice. In this troubled world, came the Heroes. Men and women who wouldn't allow these misdeeds to continue. Whether wearing a badge, or riding alone into town, the stranger in a strange land, usually misunderstood and always taken for granted, the Hero was there for a purpose. Right the wrong or die trying. Their tales are ageless and Life affirming. The Reel Cowboys, now including anyone with an clear understanding of this "cowboy mentality," believes that the Heroes' mission continues to this day. Yes, we have a lot of fun in the process, but make no mistake, our aim is to lend the helping hand to those less fortunate. Grass roots justice. Sticking up for the little guy. These are not ideals shared only by one political party or philosophy, but of Americans of all races, creeds, religions, and political diversities. The Reel Cowboys, which now has grown to more than 100 members, is an official "not for profit", 501(c)(3), California Corporation, and they are here to stay. 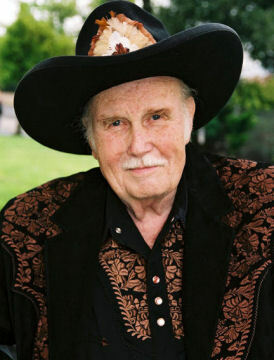 The Reel Cowboys produce their annual awards banquet, The Silver Spur Awards, which honor members of the entertainment industry who have portrayed the stories of the West in movies and TV. Profits generated by the Silver Spur Awards and other club sponsored events have provided needed funding to worthy charities and individuals who benefit from that special "grass roots" helping hand. The Reel Cowboys fervently hopes that their mission continues. 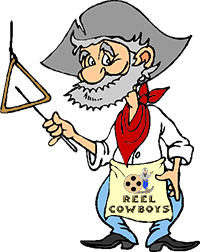 The Reel Cowboys meet for breakfast on the 1st and 3rd Saturday morning of each month (check our calendar page) from 9:00am to High Noon! Come on around to the "Chuck Wagon Room" of Big Jim's Family Restaurant, 8950 Laurel Canyon Blvd, Sun Valley, CA. 91352 (the northeast corner of Laurel Canyon and Sheldon Street). to join in on the fun and frivolity, entertainment and "Grass Roots Justice"